Living… with his new friend, Daisy Steiner. Tim is too poor to afford a place on his own, and Daisy doesn’t have much money either. But, by pooling their cash, the two young Londoners are able to rent an apartment on 23 Meteor Street, Tufnell Park. However, there is a catch. The eccentric landlady of the building, Marsha Klein, will only allow professional couples to stay at the flat. Thus, Tim and Daisy must pretend to be each other’s partners. Profession… assistant manager at Fantasy Bazaar. Tim and his boss, Bilbo Bagshot, are both huge fans of comic books, so getting to sell them is a pretty sweet deal. Unfortunately, Tim tends to take his passion a little too seriously. He once yelled at a kid in the store for liking Star Wars: Episode I and occasionally does inappropriate things too. Interests… drawing comics and playing video games for hours on end. Tim spends most of his time slouched over on the apartment couch, working on his art or shooting virtual bad guys on his PlayStation with his best friend, Mike Watt. Relationship Status… single. Tim’s last girlfriend, Sarah, left him absolutely brokenhearted by “running off with a slimy little city boy called Duane and destroying [his] faith in everything which is good and pure.” So, until he gets over that, romance off the table for the time being. Challenge… working a stable job, being in a fulfilling relationship, and finding a sense of purpose. Tim is having trouble with all aspects of adulthood. He avoids confronting his problems by wasting away his days playing video games and taking naps. Tim Bisley's popularity ranking on CharacTour is #2687 out of 5,000+ characters. See our top-ranked characters and read their profiles. 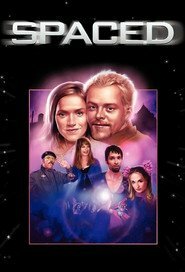 Spaced: the anti-Friends, in that it examines the lives of common 20 somethings, but in a way that is more down to earth and realistic. Here we have Daisy and Tim; two 'young' adults with big dreams just trying to get by in this crazy world. They are thrown together in a common pursuit of tenancy, which they find by posing as a couple. The house has a landlady and an oddball artist living there. The series explores the ins and outs of London living.